Today I am very happy to be joining the roly-poly-along, a blog tour for the Roly Poly Pinafore pattern by Rachael of Imagine Gnats. I also have a copy of the pattern to giveaway. I was really excited when my friend Rachael asked me to join the tour. It’s such a cute pattern and it was great to sew something for girls for a change. My cousin’s daughter’s 9th birthday was approaching so I thought it would make the perfect present. 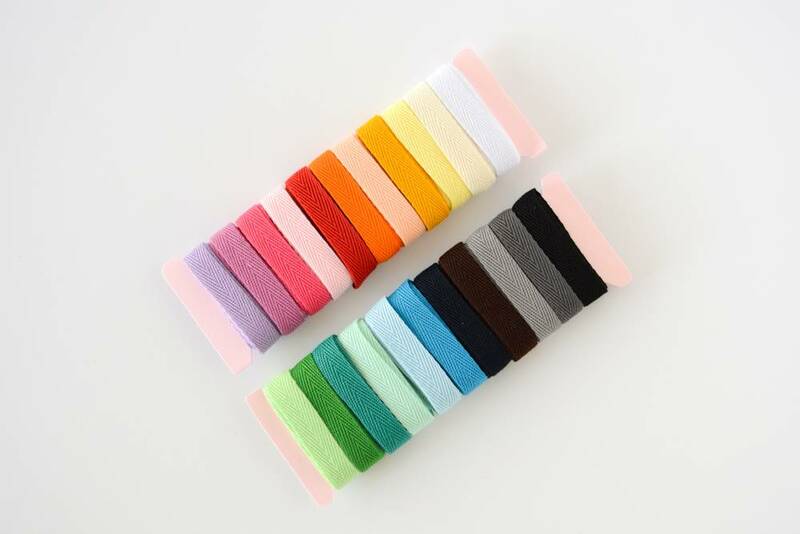 Picking fabric was not easy though – I think it was a combination of choosing for someone who wasn’t my child and also for a girl. My inspiration came when I saw this amazing bag by Gail of Probaby Actually. I thought the butterflies would work really well running down the centre at the front. The fabric is Ghost Wing in Dusk by Anna Maria Horner and I had been looking for an excuse to use it. I couldn’t find it anywhere in the UK though so ordered it from Sew Love Fabrics on Etsy. Ruth, the owner of the shop, was so helpful and sent it out straight away for me. I love the way the two pieces overlap and this looks even better when it’s being worn. I ran into a few problems deciding how to cut these pieces. The butterfly print is a very large scale, directional repeat. As I found out this isn’t ideal for children’s clothes. I spent quite a while trying to cut my pieces and realised I’d either have to cut so you couldn’t really see the butterflies or waste a lot of fabric. Finally I came up with the solution to add some side panels. This meant that in total for the size 8 I used less than a yard of the butterfly fabric for the outer. The purple fabric came from a rainbow selection of fat quarters I bought a while ago. Here is a wide shot. 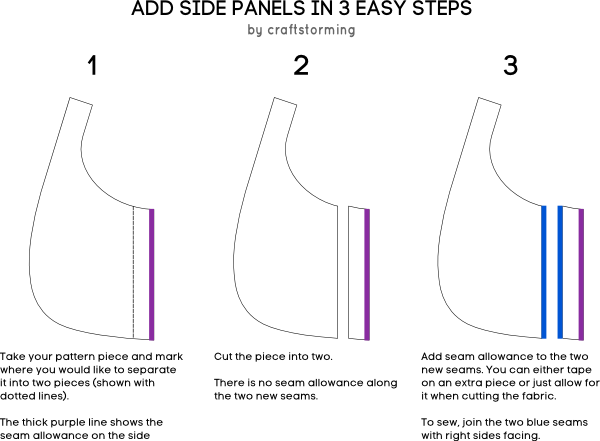 I’ve got a quick tutorial for you to show you how to add the panels. One thing to note is that if you’re adding separate pockets to the front then you can’t use attached in-seam pockets for the back pieces, at least not without adjusting where you combine the pattern pieces together. I can’t imagine many people would try this anyway – I was just trying to make it quicker as I also used the purple fabric for the pockets. For the other side I used a different butterfly print, fortunately with a more random design. This was one of the first fabrics I ever bought – it’s from the Just Wing It collection by MoMo for Moda and I think it’s out of print. I had been hoarding it for the perfect project and decided that this was it. I have left off the buttons on this side so Ella can decide if she would like it to be reversible or not. I added pockets to both sides and, as it was a birthday present, I used the letters on my sewing machine to add the birthday girl’s name in the pocket. Thanks for the suggestion Abby. I will be giving this to Ella this weekend so I’m keeping my fingers crossed that she likes it! This is the schedule for everyone taking part in the roly-poly-along. There have been some pretty amazing versions already – I think this one has to be my favourite so far, closely followed by this one or this one. You can also look at the Imagine Gnats Flickr group for more versions. So, would you like to win a copy? Just leave a comment on this post telling me who you’d like to make one for. For an extra entry like Craftstorming on Facebook and leave a separate comment telling me you’ve done that. The giveaway will end this Friday (24th) at midnight BST. Good luck everyone! If you’re desperate to sew up a Roly Poly right now and can’t wait then you can buy the pattern here. Laura, this is gorgeous. You really nailed it with the fabric choices! Nice one! I love the butterflies! What a wonderful gift! This is so, so beautiful! Your buttons – swoon! My four year old always wants to ‘match’ her baby sister but as she already wears clothes aged 7 I can’t find anything in the shops so I would make them a matching pair! I keep seeing this pattern pop up and LOVE it, I would certainly make one for my daughter! I also liked Craftstorming on Facebook! Hi Laura, this pinafore pattern is really cute! I would love to make it for my daughter (6 y.o). 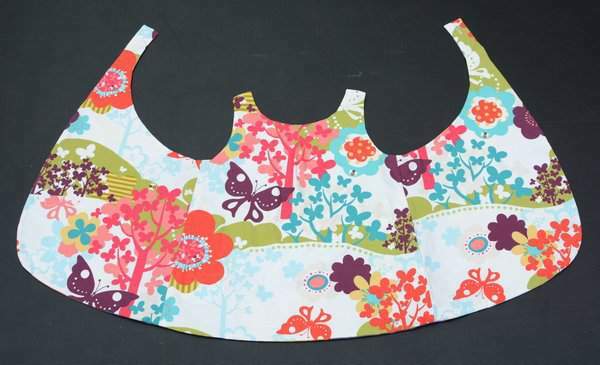 I also like your choice of fabric for pinafore, perfect fabric for it!. You might be knew, I “like” your FB page quite some time 🙂 Thanks for the chance to win! i LOVE your version! i want to make one for a dear friend’s daughter. thanks for the chance to win! 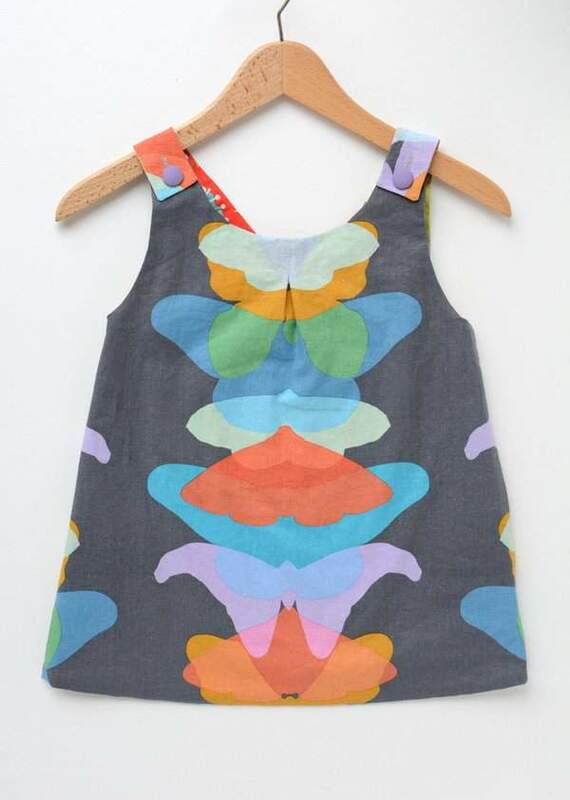 I love this pattern and that butterfly print is just perfect – looks stunning straight down the front there. 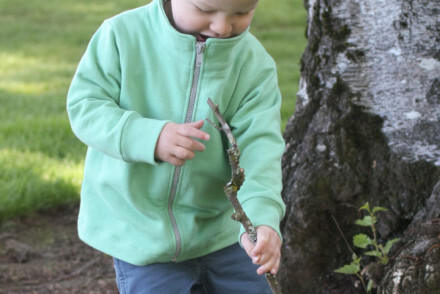 I would love to make a boy version of one of these for my little boy, maybe as an art overall. So I’d love to win the pattern. Thanks! I’d like to sew one for my daughter! I would love to make on of these sweet pinafores for my lovely sweet recently turned two daughter!! Your version is brillant – well done. I’d love to make one for my girls but I’m not sure they’d wear one! So I’d make one for one or two of my cute nieces! My nephew and his wife are having a baby and I have my fingers crossed for a girl. Love your version – thanks for the chance to win! I’m trying to sew my daughters clothes as much as possible, so I would make one for her! Thanks for the opportunity! So gorgeous! I love how it turned out. That is such cool fabric. I would make one of these for my niece. holy beautiful, laura!! isn’t that fabric just dreamy?? 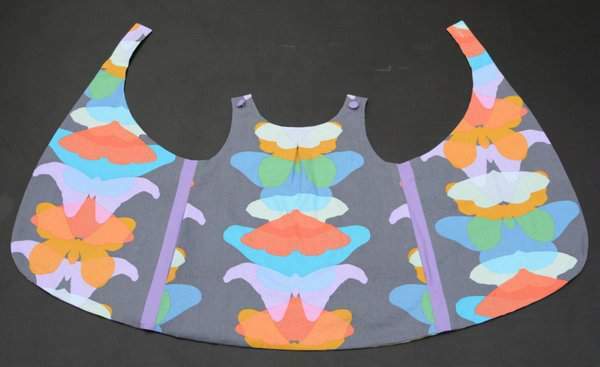 i love the big scale of the butterflies running down the center, it works really well with the pleat, too. and great job with the side panels, that was smart! lucky girl who gets to wear that pinafore! I have not seen a pinafore that I haven’t loved yet on the blog hop, but your one is blinking AMAZING!!! The linen butterflies look stunning and I love the side panels! I think I will have to copy your one (once some UK shops gets some in). Please don’t put me in for the pattern, or redraw, as I have one already!! I would make one for my “practice grandbaby” I’ve been keeping her on Tuesdays since she was 8 weeks old. She is now 3 yrs and 2 months. I know she’ll love a Roly Poly Pinafore. I’d love to make one of these for my daughter. I love the side panel idea too! 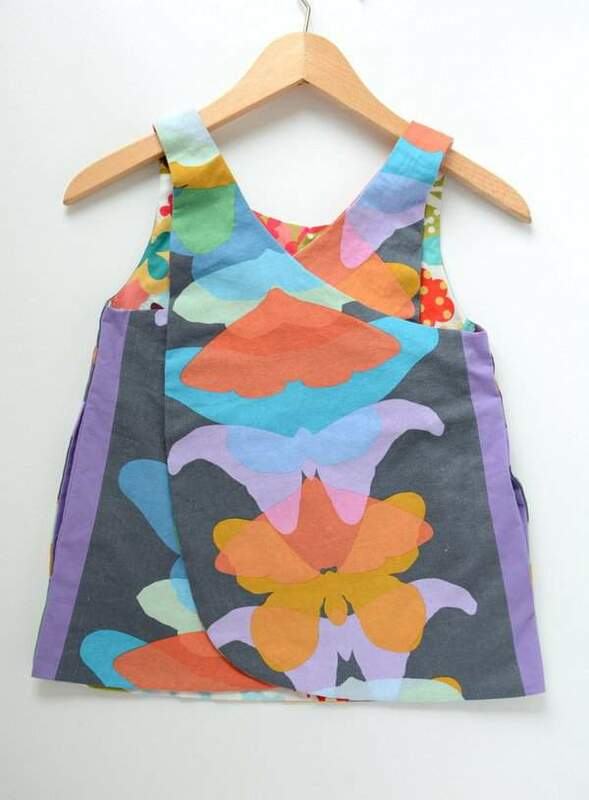 I LOVE that Anna Maria Horner print, and the pinafore looks amazing! The purple strips look great. I’d make this up for my girls. I Like Craftstorming on Facebook! as this sew along goes on it gets harder and harder to pick my favorite. I love your choice of fabric and how you modified to make it work. I love the fabric placement on this dress! Beautiful job! I am in love with the dress. The fabric is to die for! I’d make one for both my daughters! One each for my four granddaughters. They would look adorable in this pinny. This is so cute! I’d definitely make one for a friend’s 12 month old daughter and another for my 17 month old niece. I’d make one for my niece that’s due soon! That butterfly print is amazing!!! definitely my favorite version to date! So so pretty and any girl would be happy to wear it. I LOVE your version. 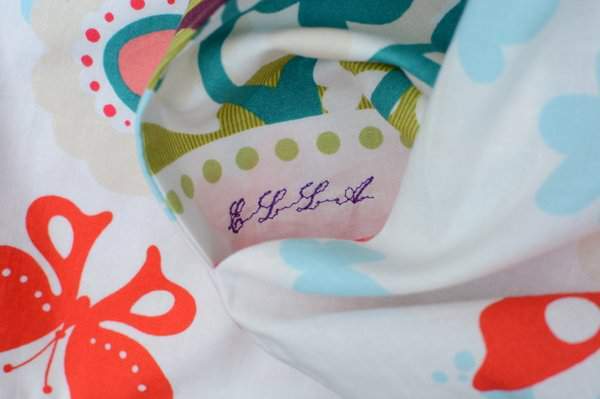 That fabric is so perfect for this pattern – love love it!! Good idea to add the side panels in, I’ll have to remember that because I don’t think I would have come up with that solution.